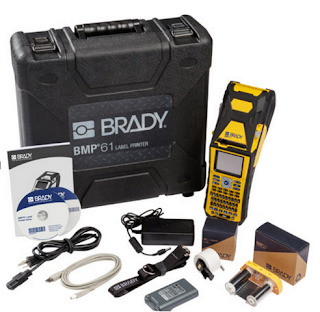 The Brady BMP®61 label printer is designed for quick and efficient identification of wires, cables and components. With high performance materials that can handle the toughest industrial identification applications, this printer is your rugged and reliable partner in the field and dependable workhorse in the shop. It features multiple user interfaces, touch screen capabilities and a variety of ways to connect, manage and save your data.